The Battle of Bukit Timah is fought in Singapore during World War II. The Battle of Bukit Timah, which took place on the 11 February 1942, was part of the final stage of the Japan Imperial of Singapore during World War Two. By 10 February, the Japanese had landed on Singapore. They controlled the entire western region of Singapore and much of the north. Their next target was Bukit Timah and the capture of vital water, food, ammunition, and vehicles, machine parts and other supplies. Now, full with success, the Japanese again advanced in full strength. On the night of 11 February 1942, the Japanese 5th Division, supported by tanks, advanced down Choa Chu Kang Road. The 12th Indian Brigade and some British troops under Major Angus MacDonald and Captain Mike Blackwood blocked the road and opened fire with an anti-tank gun, destroying one Japanese tank, but this was merely one of 40 tanks. There followed some hand-to-hand combat, as well as bayonet charges from both sides. The poorly trained and equipped members of Dalforce were armed only with parangs, grenades, rifles and shotguns normally used for hunting, and suffered heavy injuries. By midnight, the Japanese had defeated the defenders and conquered Bukit Timah. The British launched an attack the following morning with two brigades.However, faced with strong Japanese resistance, the attack failed. The next day, the Japanese Imperial Guards advanced from the north, outflanking the British defenders and forcing them to retreat. In the ensuing battle, the Chinese members of Dalforce fought bravely, some to their deaths. 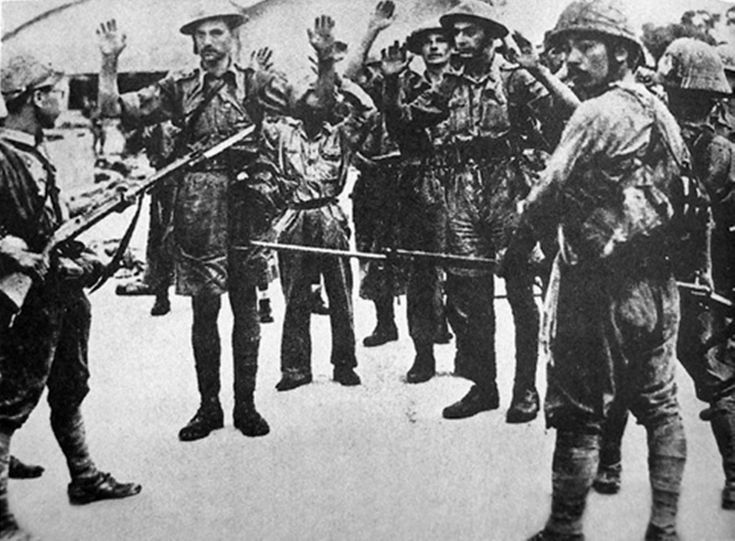 Here, the Japanese suffered some of their heaviest casualties in the campaign to occupy Singapore.For revenge, they massacred Chinese men, women and children living in a nearby village. This entry was posted in Uncategorized and tagged 11 February, 1942 by admin. Bookmark the permalink.